Toto Stretchy wraps are interlocked knit jersey wrap around baby carriers. The stretchy is a great place to starts with your newborn and makes a gateway wrap to carry your newborn in the Front carry. 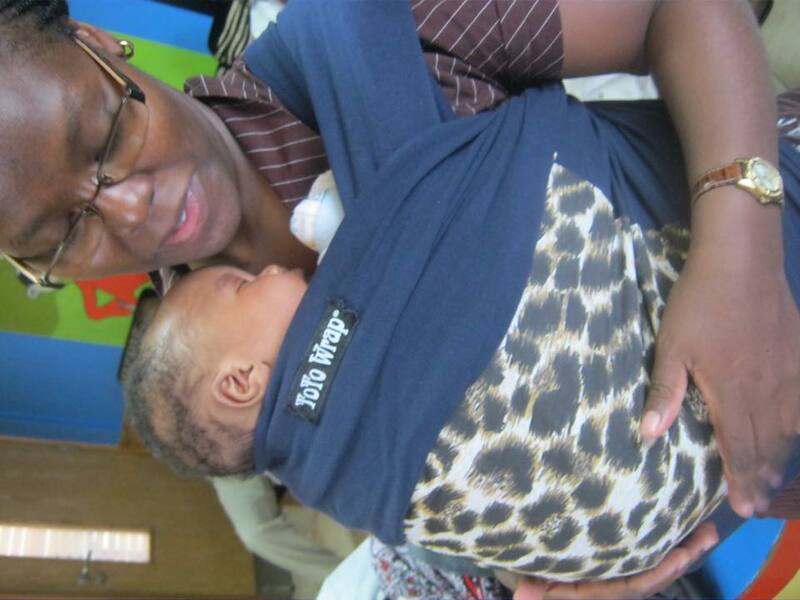 Great for Kangaroo care of preemie babies too. Ultra-breathable, the stretchy soft jersey cotton that provides that essential close contact you and your baby desire in the very first few days and months. With the right amount of stretch that hugs you & baby perfectly feeling like a second skin. Securely holds and softly hugging your baby close and keeps the baby snug, safe, relaxed, and well supported. The stretchy wrap allows one to easily put the baby in a pre-wrapped pocket wrap carry & accordingly adjust and position. Features a beautiful fabric panel in the centre front, this feature also adds a little extra support for your little one. It is recommended that babies are in an M shaped, spread squat position for optimal ergonomics. Suitable from as young as 3 days old baby and will last until up to 13kgs (+-2 kgs). When baby has outgrown the weight range or when the baby starts to sag consider upgrading to a Toto Wraps woven wrap. One size fits most. Hi, I would like to order this wrap if possible?